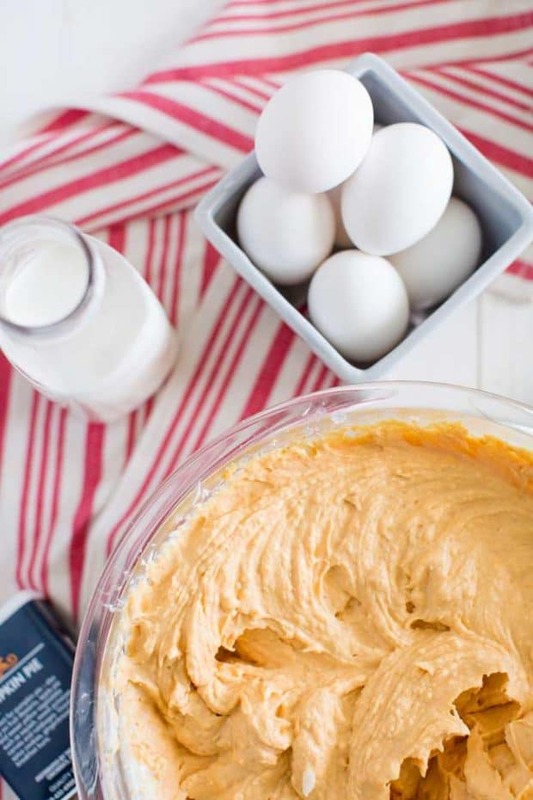 This easy, homemade pumpkin cheesecake is absolutely amazing! Can you even say cheesecake without smiling? 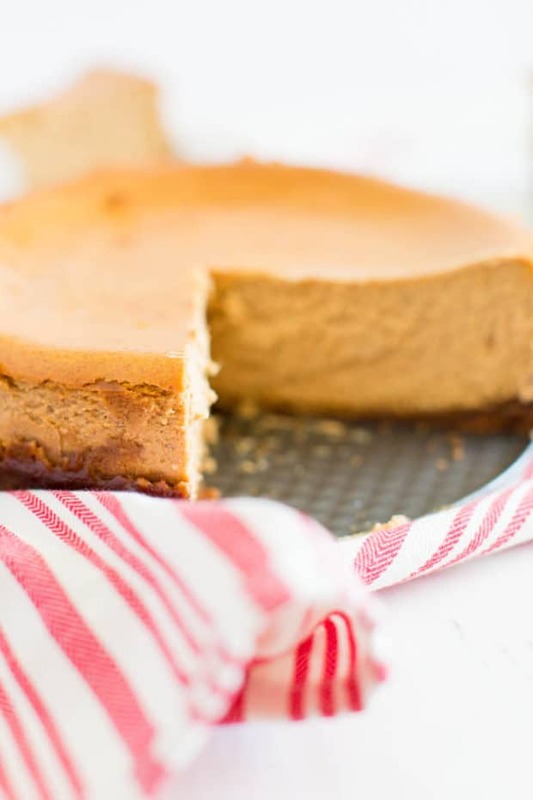 For sure, this easy recipe for the best-ever Pumpkin Cheesecake with Gingersnap Crust will make your whole tribe grin! Make it with real pumpkin or with pumpkin pie filling. You can’t go wrong with this creamy pumpkin cheesecake dessert. 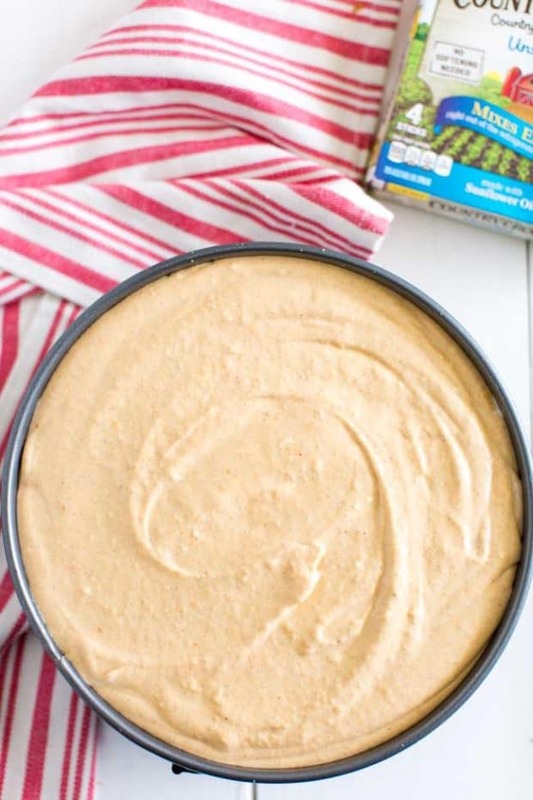 This easy pumpkin cheesecake recipe is a worthy dessert that is full of flavor and spicy aroma but it is not the heavier New York style pumpkin pie cheesecake. New York style cheesecake only contains cream cheese, cream, sugar, and egg. This dessert is so much more! 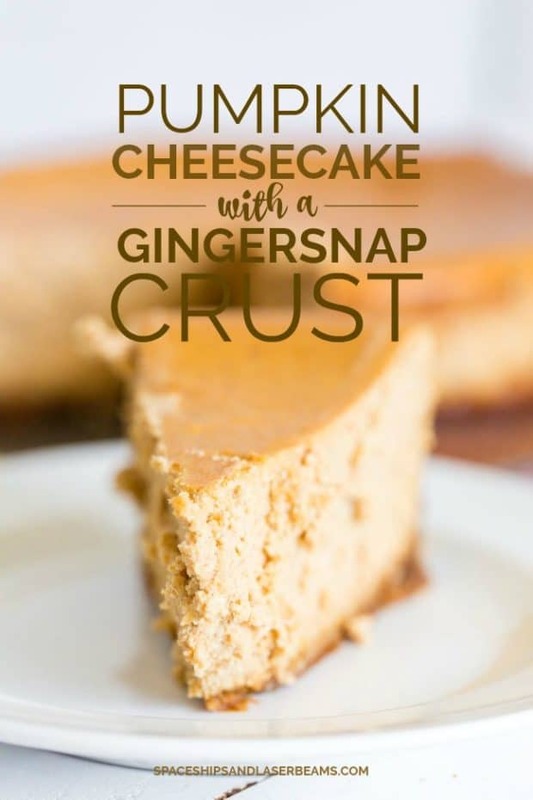 And although pumpkin is traditionally showcased during the Thanksgiving and Christmas seasons, after trying Pumpkin Cheesecake with Gingersnap Crust once, I think you will agree it should make more frequent appearances. The most difficult part of making cheesecake might be giving it a time-out in the refrigerator. For the best flavor, let it set overnight. This version of pumpkin pie cheesecake uses cream cheese, sugar, butter, canned pumpkin, flour, eggs, cream, pumpkin pie spice, vanilla, and gingersnaps. Nothing too unusual, but the combination yields fascinating flavor. And as with most recipes, you can make ingredient substitutions. More on that in a moment but first, let’s start with the foundation: pie crust. Making a gingersnap crust is—dare I say it—a snap! Using a food processor to combine 40 gingersnaps, one-fourth cup of sugar and one-fourth cup of butter makes quick work of the job. No food processor? No problem. For sure you can crush the cookies in a Ziploc bag by pressing them with a rolling pin. Pour the cookie crumbs in a bowl and add the sugar and butter. Mix well by hand or with an electric mixer. The mix will appear crumbly, but it should hold its shape when pressed. Using the bottom of a small glass or measuring cup to press the mix into the springform pan makes the job easy. How Do You Make Pumpkin Cheesecake? Fill a 13×9-inch roasting pan with water halfway and position it on your oven’s bottom rack. Press the cookie crumb mix onto the bottom and about halfway up the sides of a large springform pan. To provide an extra barrier so water can’t seep into the cheesecake while it is baking, you might want to put the pan on a sheet of aluminum foil. Bring the foil up the sides of the pan, crumpling it close to the pan. Combine the cream cheese, one and a half cups of sugar, and one-half cup of butter in a bowl and mix for about three minutes. It should be creamy. Now it’s time to add the pumpkin, one-fourth cup of flour, and a tablespoon of pumpkin pie spice. Things are starting to smell good! Add eggs, a cup of cream, and the teaspoon of vanilla, beating until smooth. Pour this promising mix into the gingersnap crust in the springform pan. Using a spatula and a light hand, jiggle the filling to get rid of any bubbles. Place the springform pan in the roasting pan. Now you will have to be patient while the cheesecake bakes for about an hour and a half, or until the edges look golden and the middle is almost set. But do not take it out of the oven when the timer goes off. Do not even open the oven door! Instead, turn off the oven and let the cheesecake set for another 30 minutes. Then, remove the cheesecake from the water bath. Cool the pumpkin cheesecake completely on a wire rack, perhaps two or three hours, and then cover it with foil. Let it rest in the fridge—it is best if the cheesecake sets at least a day before you want to serve it. As I said, this pumpkin pie cheesecake is an easy dessert to make. Although the ingredient list might make you think otherwise, prep time is just fifteen minutes. …but you’d be missing that marvelous spicy gingersnap kick that adds so much to the final (and I think, best) flavor. You can also add a half cup or so of pecans, walnuts, almond slices, or hazelnuts to the gingersnap crust. Or, try a premade package of cookie dough for the crust. A sprinkle of cinnamon chips would add a sweet surprise. Other ideas? 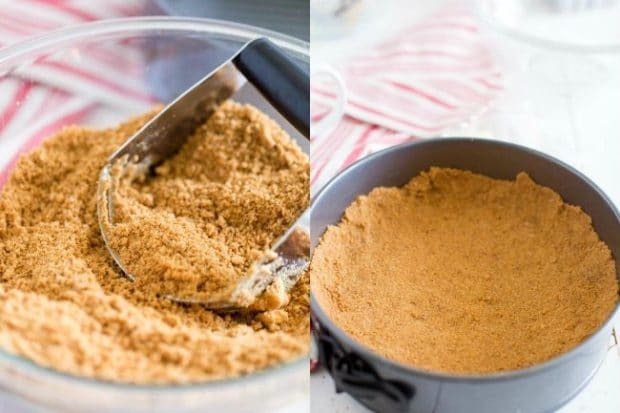 Substitute brown sugar for all or part of the white sugar for extra depth and richness. Maple syrup would add another subtle layer of sweet impression. Some prefer adding a quarter cup of sour cream or plain Greek yogurt or eggnog to the batter. And instead of straight pumpkin pie spice, try mixing cinnamon with nutmeg, ginger, allspice, mace, and a pinch of cloves. For a grown-up taste, how about adding a generous splash of bourbon to those spices? Or even a teaspoon of espresso powder? Another variation switches up method instead of ingredients: make the cheesecake marbled. To do that, after combining the cream cheese, sugar, and Buttery Sticks, set aside about a cup of the mixture. Proceed with the steps of adding the pumpkin, flour, and spice, then the eggs, cream and vanilla. After pouring the mix into the crust, drop the plain batter by spoon-full onto the mix. Swirl it with a bamboo skewer or knife tip to create a marbled effect. Or make it layered. After combining half of the cream cheese, sugar, and butter, add half of the eggs. Pour this into the crust. Mix pumpkin, flour, the remaining eggs and cream cheese, spice, cream, and vanilla. Pour it over the first layer. Proceed with baking. Another simple idea is to make individual cheesecakes. Don’t bother with making a crust. Just put one gingersnap into the bottom of a muffin tin and pour the batter on top and bake. A piece of Pumpkin Cheesecake with Gingersnap Crust is a bit of dessert nirvana. Whether you are serving it as a stand-alone dessert, on a dessert buffet, or as the grand finale to a meal, here are some suggestions to up the presentation. Top it all off with dollops of whipped cream or frozen whipped topping (thawed). Piping the whipped cream looks extra special and a few extra nut sprinkles really finish it off. If your crowd salivates over extreme sweetness, drizzle chocolate or caramel syrup on top. Or how about adding a decadent maple syrup glaze? Combine one cup of heavy whipping cream and three-fourths of a cup of maple syrup in a saucepan. Bring that combination to a boil over medium heat until it is slightly thickened. Stir occasionally during the fifteen to twenty minutes that will take. Refrigerate the maple topping until it is cold. Toasted pecans are divine with the maple topping. Just bake about a half cup of pecans in a shallow pan at 350 degrees for five or ten minutes. Or cook them in a skillet over low heat until they are lightly browned. Don’t forget to give them an occasional stir. A very simple way to add an exclamation point to this dessert—without adding too much sweetness—comes via the humble paper doily. Lay it on top of the baked and cooled cheesecake. Sprinkle it with confectioner’s sugar and carefully remove the doily to admire a lacy design. Get ready for rave reviews! This incredible, decadent dessert is easy to make and so delicious! Place 13 x 9-inch roasting pan filled halfway with water on bottom rack in oven. Preheat oven to 325°. Combine cookie crumbs, 1/4 cup sugar and 1/4 cup butter in a small bowl. Press crumb mixture onto bottom and halfway up sides in a large springform pan; set aside. Beat cream cheese and remaining 1-1/2 cups sugar and 1/2 cup butter in medium bowl, with electric mixer until mixture is creamy, about 3 minutes. Beat in pumpkin, flour, and pumpkin pie spice until smooth. Gradually beat in eggs, cream, and vanilla until smooth. Pour into prepared springform pan. Bake in center of oven 1 hour 30 minutes or until edges are golden and middle is almost set. Without opening the door, turn oven off and let cheesecake stand in oven 30 minutes. Cool completely on wire rack. Cover and refrigerate overnight. Best if made one day ahead. Yes, a 10 inch will work! You can never go wrong with any type of cheese cake and this recipe certainly did not disappoint. It was awesome!